Sweet potatoes and carrots are popular and delicious vegetables that also make awesome ingredients for a yummy lunch creation. Are you thinking of soup for lunch? 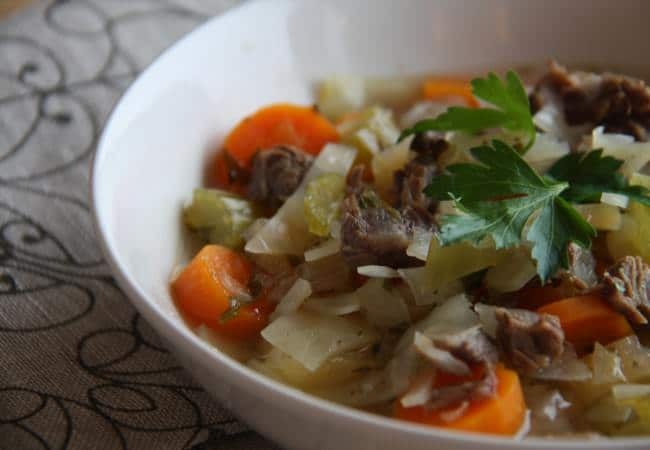 This recipe for beef and winter vegetable soup is thick and hearty and the perfect lunch for a cold winter afternoon. On top of all that, it is Paleo-style, so it is not only tasty, but also good for you. This recipe combines thick and delicious beef with yummy and hearty vegetables to create the perfect Paleo-inspired lunch. 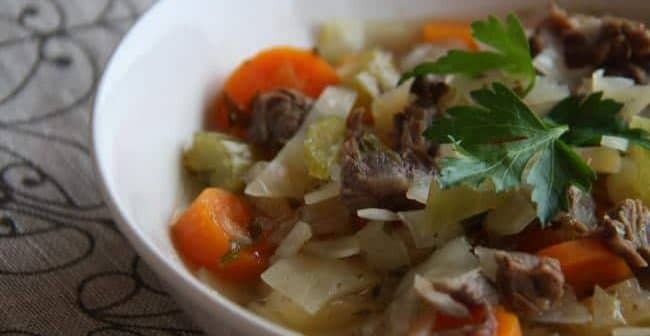 You are going to love this soup recipe. This soup combines well-known vegetables with some lesser known veggies such as the rutabaga. The cauliflower adds a thickness to the soup and gives it a texture that grains normally would give. You can even add a potato or butternut squash, whatever fresh vegetable that you choose. This is a delicious recipe that is perfect for lunch and any occasion. It is healthy, all-natural, and very Paleo-inspired. Enjoy your delicious soup or others such as ginger carrot soup or wild mushroom soup. Melt your cooking fat into a large sauce pan and put on medium to high heat. Brown your beef on each side and put aside till needed. Put in the garlic and onion and cook until it produces a smell which takes about 5 minutes. Add 1/2 of the stock so the bottom of the pan will deglaze. Place all the veggies into the sauce pan and cook, stir frequently until they are soft which takes about 10 minutes. Put the beef back into the sauce pan and add the left over stock and place a cover on top of the pan. Let all of this simmer over medium heat for approximately 45 minutes or until the meat is cooked all the way through. You can sprinkle on some seasoning to taste and add fresh leaves of parsley and serve.